Naturopathic Health is dedicated to helping you lead a naturopathic life. You are meant to be well, health is not just the absence of illness. Our aim is to help our visitors lead a healthy, 'naturopathic' lifestyle. 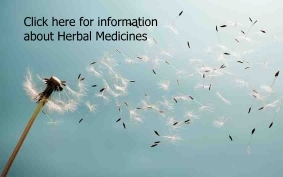 And if you do have an ailment we will endeavour to present hard facts and research about the naturopathic medicines, herbal remedies and alternative treatments that may be available. Naturopaths treat the whole person not just the disease or condition. That's why you cannot use this site for diagnosis or treatment. The information we provide about naturopathic medicines and alternative treatments should not be used as a substitute for medical advice. We recommend that you visit a qualified naturopath or find a GP who is sympathetic to a naturopathic approach. Click here for our full disclaimer.